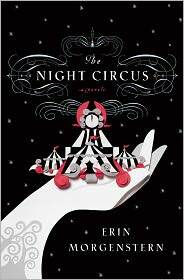 As many of you may know by now, there is a lot of hype surrounding Erin Morgenstern’s debut novel, The Night Circus. All I can say is that the hype is much deserved! If you read this, I promise that Celia and Marco will become two of your favorite characters. Their connection is undeniable and together their effect on their world is quite astounding. This novel is very descriptive and takes on a magical tone of it’s own. I’ve read some reviews on Goodreads stating how drawn out and descriptive it can be, but that is the beauty of it-Morgenstern creates a world to escape to where everything can exist. I know I’m late to the game on this review but trust me, this one is a good one. I’ll admit to never reading any novels by Lee Child, Jeffrey Deaver, Michael Connelly or any of the other really popular male authors constantly making the New York Times Bestseller List. 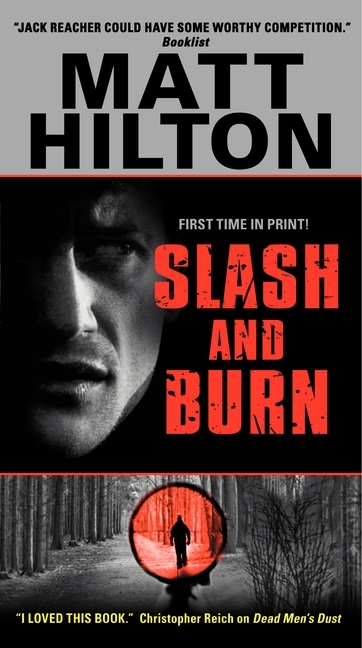 So when I got the Advance Readers Copy of Slash and Burn by Matt Hilton, I decided to give it a chance, as Hilton is often compared to the authors previously mentioned. Joe Hunter, ex-CIA tough guy/hero of the Hilton novels, meets a desperate woman named Kate while on a Florida retreat. She needs help finding her sister, Imogen, who is missing and may be in trouble. Joe agrees to help Kate and slowly falls for this woman who appeared so desperate in the beginning but who is actually capable of herself. Together they fight a lot of men while trying to figure out why Imogen has disappeared and why these men are searching for her as well. While reading this, I will admit that much of it was easily predictable, especially the love between Joe and Kate. Even the play on Joe’s last name, Hunter, was a bit silly. There was only one part of this entire book that I was actually surprised at but I won’t speak of it here, just in case someone else is planning to read this novel of course, but I will say that it was surprising and made the overall novel a bit better for me. This novel is most definitely something I would call a “mindless read” nothing you need to pay close attention to but something that is somewhat enjoyable and easy to read. I wouldn’t suggest running out to purchase it- only if violence and an easy read is something you are seeking. But, if you stumble upon it, you may want to pick it up especially if you happen to like the afore mentioned authors. There is an apparent murder in a small town in rural Maine. 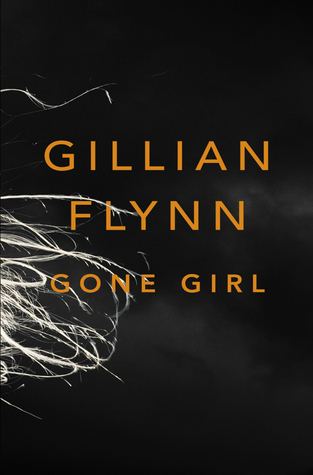 Dr. Luke Findley meets the young woman, Lanny, who is the alleged murderer, and feels a strange and immediate pull toward her. Luke agrees to help her flee the hospital and hears the story of her life along the way. Filled with love, betrayal, and immortality, Katsu takes you on a journey through time that is both beautiful and tragic. Katsu’s writing is quite stellar. I felt such a strong attachment to Lanny with every turn of the page. I embraced Luke as he helped Lanny to escape and heard her tale that spanned two hundred years. Only a true writer of great talent can fully engross a reader and make them react emotionally to every written word. Alma Katsu does exactly that which is so rare to find. The Taker is heartbreaking, eerie, and unforgettable- I highly suggest picking this one up and enjoying every word of it. The Taker (September 2011) is available now and you can visit Alma Katsu’s website here for more information. endlessqueue, What are you up to? Although I have not posted a book review as of late, I do have some currently in the works! I’m in the middle of two novels that, so far, are proving to be good reads. One of which is from an author I am not familiar with, Matt Hilton. The ARC I am reading of his is called Slash and Burn which is the first time it’s been in print. The protagonist in this novel, Joe Hunter, is being compared to Jack Reacher, the main character in Lee Child’s novels. That is a pretty bold claim to be made considering how prolific Lee Child is, so I am excited to finish this one and give you my thoughts. 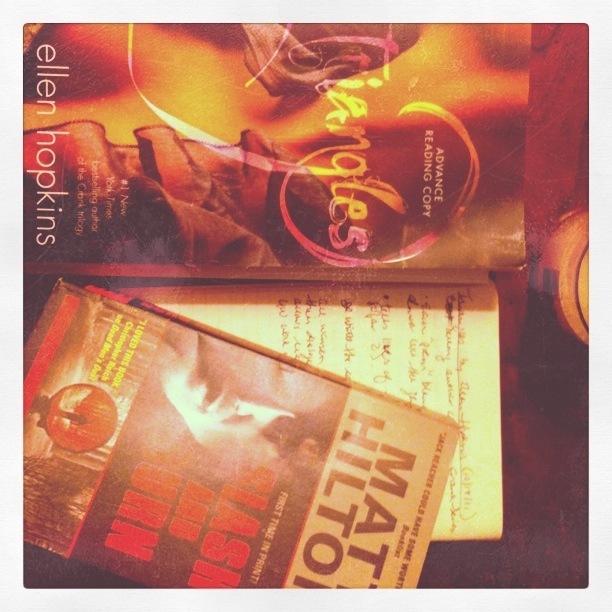 The next author is one I am sure many are familiar with- Ellen Hopkins, the bestselling author of the Crank Series. The ARC I am reading is called Triangles, and it is her first adult novel, as she normally writes YA. I’ll admit, I have never read one of her books before, but I am familiar with the poetic setup she has in her other titles. This one follows the same suit and is actually quite good. Both novels are due to come out in October so check back soon for those reviews! I have FINALLY got this blog up! I’d been hounding myself everyday to get this started and found myself uninspired to do so, mostly because I hadn’t read anything really great and it put me into a dreadful rut of not finishing anything that I picked up to read. However, I’ve read a couple of great books as of late that got me really excited so I will start off with those reviews first. I do hope you enjoy reading the reviews as much as I did writing them. Maybe you’ll even pick up the book and give it a go yourself. Happy reading!